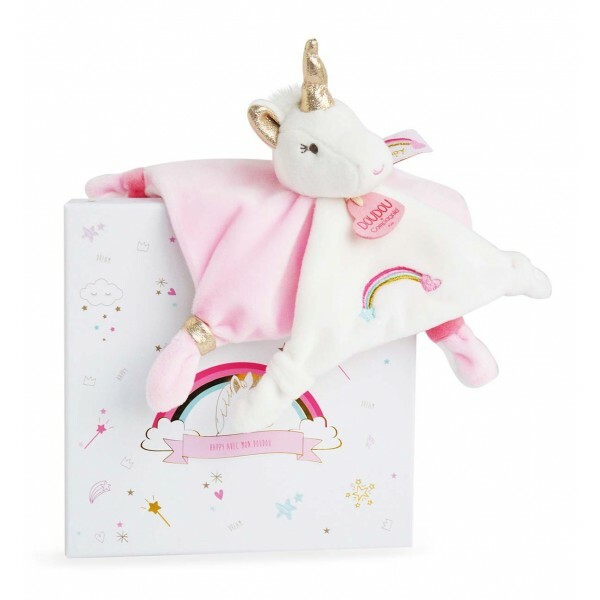 Super soft, exceptionally cute and fabulously packaged, Doudou et Compagnie's enchanting unicorn comforters are the perfect present for a new arrival! The enchanting unicorn at the top of the comforter is sure to become a really special friend. Made with real substance and sophistication, it's a really special present that will be treasured forever, for couples who have just had a new arrival.